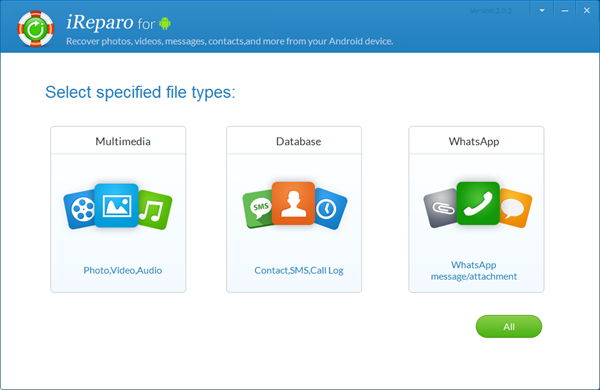 After you launch iReparo for Android on computer, follow the easy steps here to recover data from your Android device. Here we take the Windows version as example to show you the process, which is the same as the Mac version. Specify the file types that you want to recover. 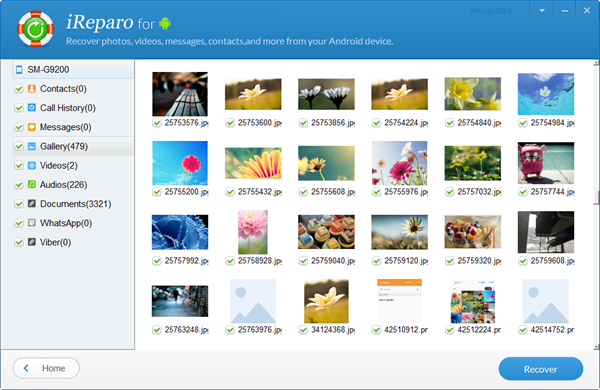 It's recommended you select only the file types that you lost to continue. This will greatly shorten the time that the scan costs. 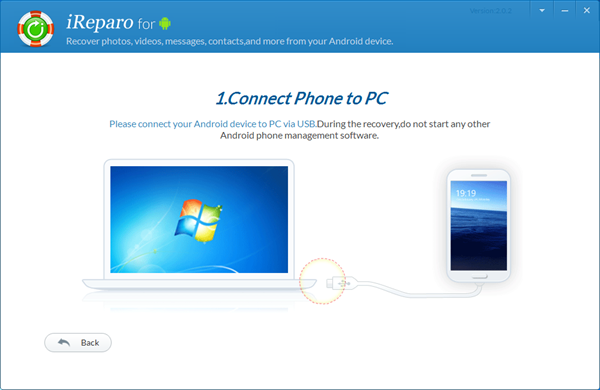 1> connect your Android to computer with USB line. Make sure your device can be recognized by the program. Otherwise, please install the corresponding USB driver for your device on computer first. 2> enable USB debugging on Android to authorize the connection between phone and application. After that, the program will start to identify your Android. When your Android is successfully identified by the program, you will be hint to start the scan. The scan will begin automatically after you click the "Start" button. 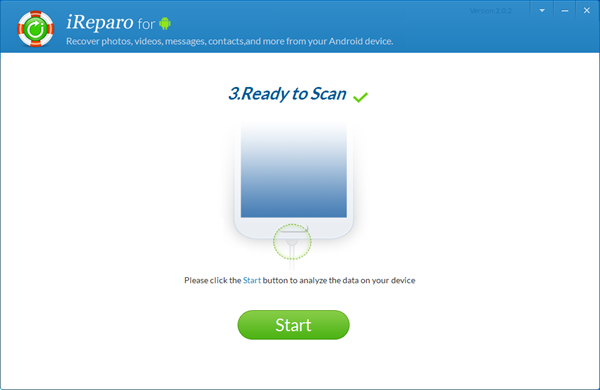 The scan may take a while according to the storage size of your Android and PC performance. When the scan is finished, preview all the items to decide which ones to restore. Tick those you need and click the "Recover" button. How to Enter Recovery Mode on Android?